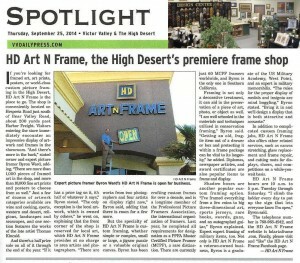 Byron Ward, our owner, is an eminently qualified picture framer. He has been a framer and instructor for the past 10 years, and he has earned many professional certifications throughout the years. Mr. Ward is an active member of the Professional Picture Framing Association (PPFA), and he achieved that organization’s Certified Picture Framer (CPF) designation five years ago. This past January, he qualified as a Master Certified Picture Framer (MCPF), which is a rare distinction. There are only 60 MCPFs worldwide, and Byron is the only one in Southern California.